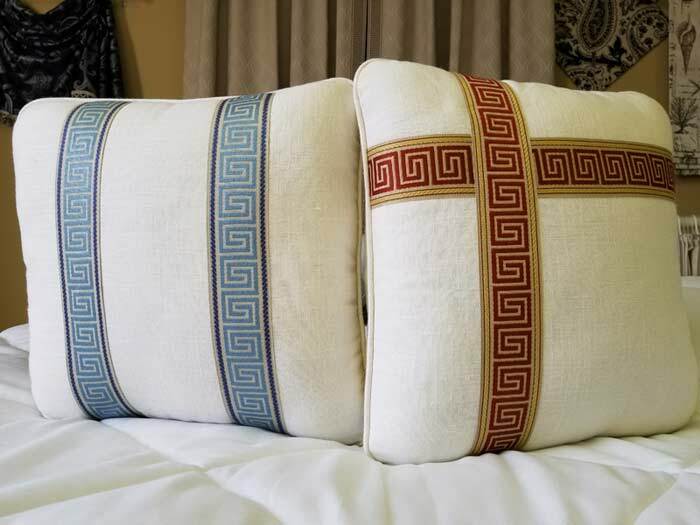 Our fabric trim tapes are perfect for accenting the leading edge of drapery panels, creating borders and embellishments on pillows and pillow shams, and adding definition and character to the bottom edge of valances and cornices. It can also be used for U banding on Roman Shades and as straps on our Mock Roman shade valances. Whatever item one decides to put it on it will add sophistication and style to you home. The variety of colors allow for a wide range of designs limited only by your imagination.